Style your bathroom with this Alpine Square Wall/Spa/Sink tapware set. Available in a sleek shape, this tapware features a stunning geometric design, which is the latest trend in modern tapware. Designed to offer easy installation, this tapware will add a contemporary touch to any kitchen or bathroom. 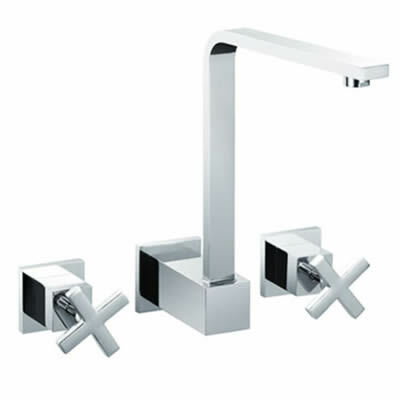 Featuring a stylish chrome finish with solid brass construction, the Alpine Square Wall/Spa/Sink tapware set is highly durable and will offer you many years of service. Enjoy precise control over water temperature and flow thanks to it’s high-quality as well as easy operation thanks to its ergonomic design. 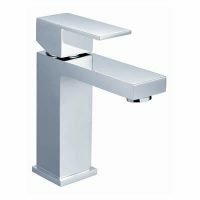 This tapware set is Watermark approved, has a 4 star WELS rating, and boasts a water consumption rating of of 7.5 litres per minute. As with all Alpine tapware, the Alpine Square Wall/Spa/Sink tapware set exhibits superior quality, which is also backed by a solid guarantee. Alpine offers an impressive 5 year guarantee on the tap body, a 2 year guarantee on the cartridge and a 1 year guarantee on the finish. Add comfort and convenience to your kitchen, spa or bathroom with quality tapware set. For the best possible price, trust only Ross’s Discount Home Centre!